Very pretty, indeed! I love the blues again and that sentiment piece with the die cut is so pretty. You are so right in not adding all the fluff that goes into a vintage card. That gorgeous image would have been lost otherwise! Beautiful card! Thanks for playing along with the Drunken Stampers this week! Connie, this is superb!! Love all the gold on here and of course that tiny little bow. So very lovely! Gorgeous card! The image is very striking. Thanks for playing along at Drunken Stampers. Cheers! Your card design really lets this beautiful image shine! The ornate dies are perfect, too. So glad you joined us at Drunken Stampers this week! Connie this is so elegant, that gold cardstock really adds a beautiful touch. Good luck with the moving! This is awesome sweetie. Thank you so much for sharing your lovely creation with us at Challenges 4 Everybody. 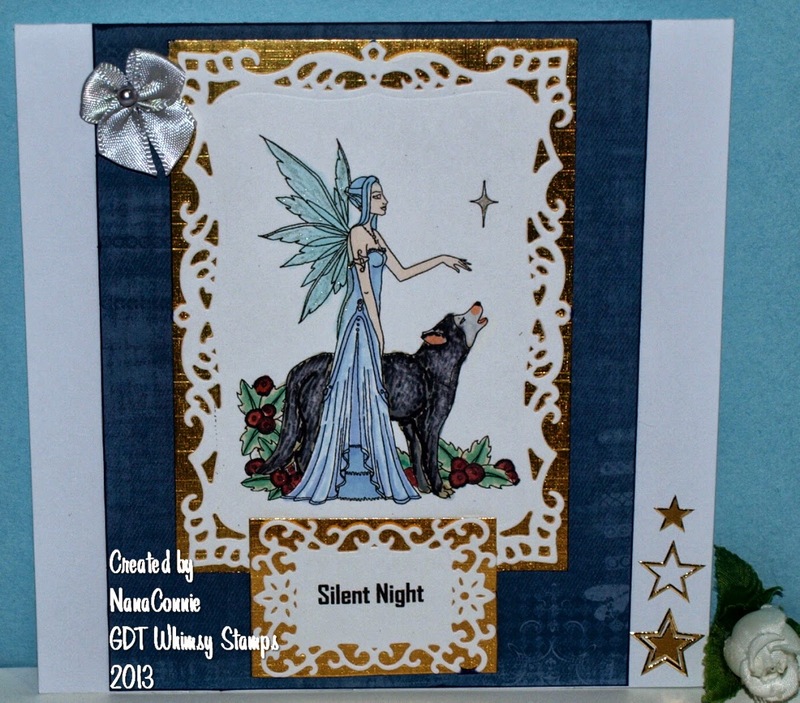 Thanks for playing along with us in the Drunken Stampers Lounge... We look forward to seeing more of your work! It is beautiful and wonderfully framed. What a beautiful card! I love all the metallic accents. Thank you for linking up with Glitter n Sparkle this week for our Add Some Metal challenge. such an elegant card. I really love the gold with the dark blue!!! Beautiful card. Very elegant image.